Born out of a great orchestral tradition, the String Quartet of the Staatskapelle Berlin began taking shape about ten years ago, when its members first performed together in Daniel Barenboim's chamber music cycle. 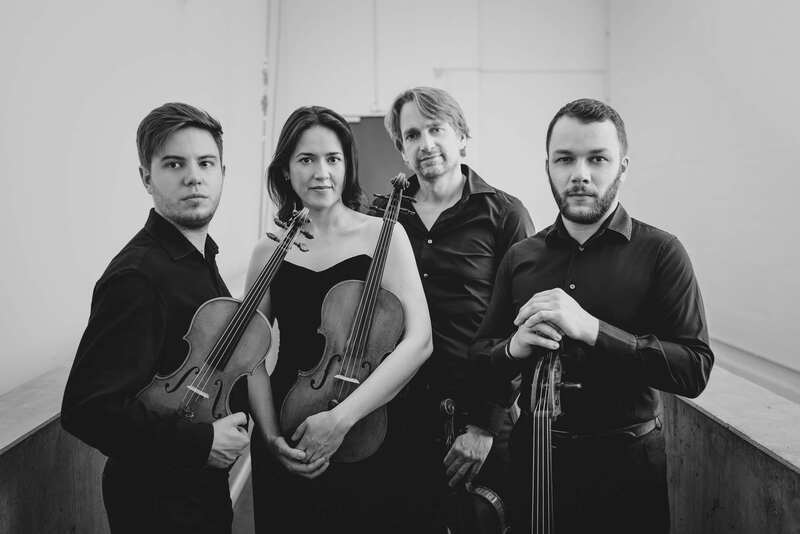 Since then, the four string section leaders of the Staatskapelle Berlin – Wolfram Brandl and Krzysztof Specjal, violins; Yulia Deyneka, viola; and Claudius Popp, cello – have grown together, and have been a steady ensemble since 2016. The idea of forming a string quartet came from Maestro Barenboim himself. 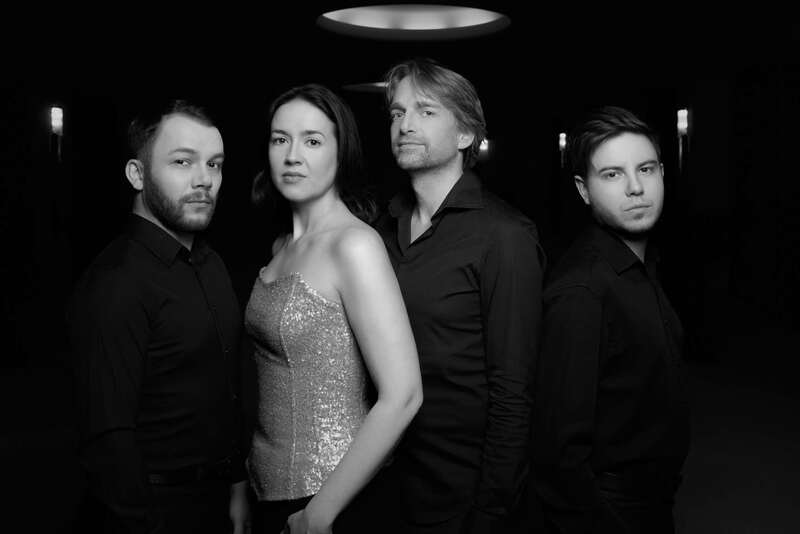 The ensemble draws on a centuries-old heritage of sound quality, stylistic diversity, expressiveness, and ensemble playing, while at the same time embodying the modern sound culture and aesthetic of the Staatskapelle Berlin. 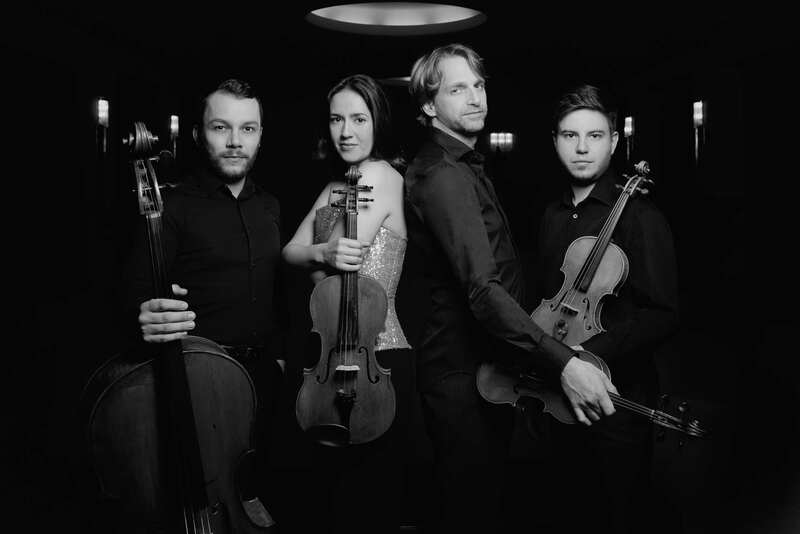 The quartet began its own concert cycle at Berlin's new Pierre Boulez Hall in 2017 presenting the complete string quartets of Schubert. 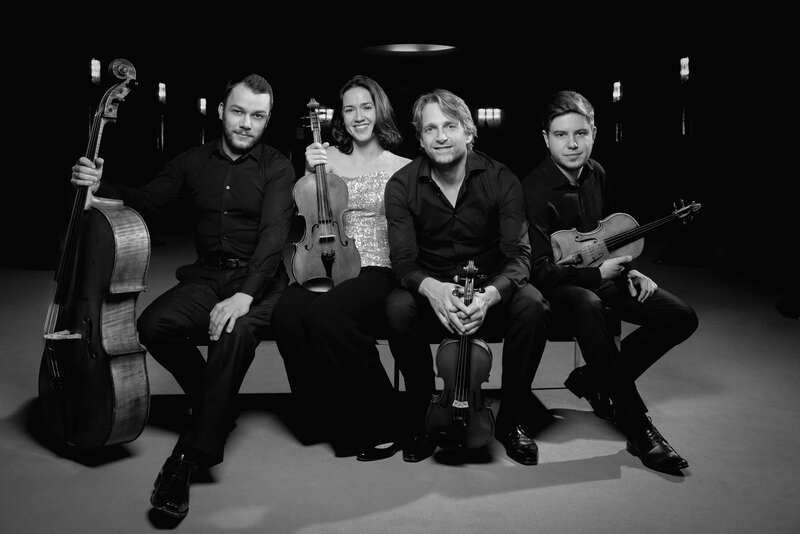 After further performances featuring guest soloists such as soprano Christiane Karg, Daniel Barenboim at the piano and cellist Frans Helmerson the quartet will appear with pianist Elisabeth Leonskaja in the course of the current season not only in Berlin, but at Théâtre des Champs Elysées in Paris. 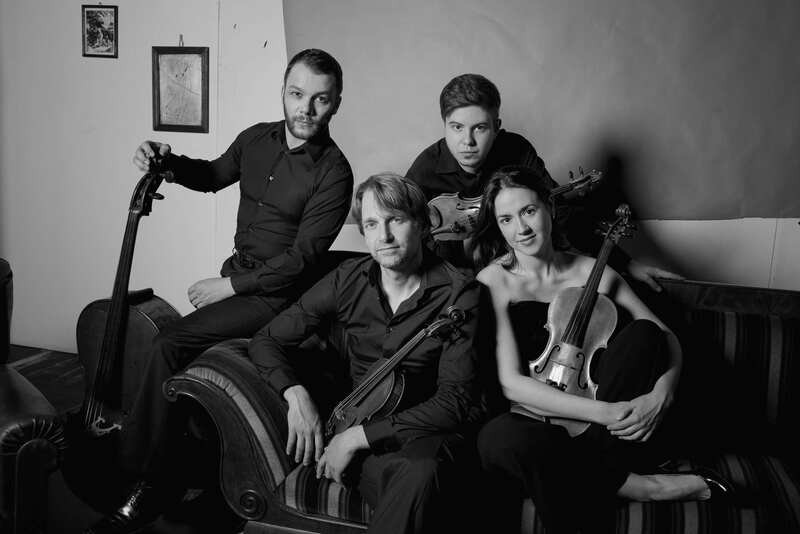 Apart from a concert at Kattowice‘s new chamber music hall the four string players will be back with repertoire gems from Mozart, Schönberg und Webern at Berlin’s Pierre Boulez Hall in April 2019. Wolfram Brandl was born in 1975 in Würzburg. At the age of eight he started learning the violin from his father. As a schoolboy he won prizes at the 'Jugend musiziert' competition and was concert-master of the German youth orchestra, Budesjugendorchester. In Würzburg he pursued his studies with Prof. Max Speermann moving on to study in Berlin at the UdK with Prof. Uwe-Martin Haiberg after winning a scholarship from the Jürgen Ponto Foundation. Before becoming first concert-master of the Berlin State Orchestra in 2011, Wolfram Brandl spent ten years as a first violinist with the Berlin Philharmonic Orchestra working with Claudio Abbado and then Sir Simon Rattle. This time was crucial to his artistic development. 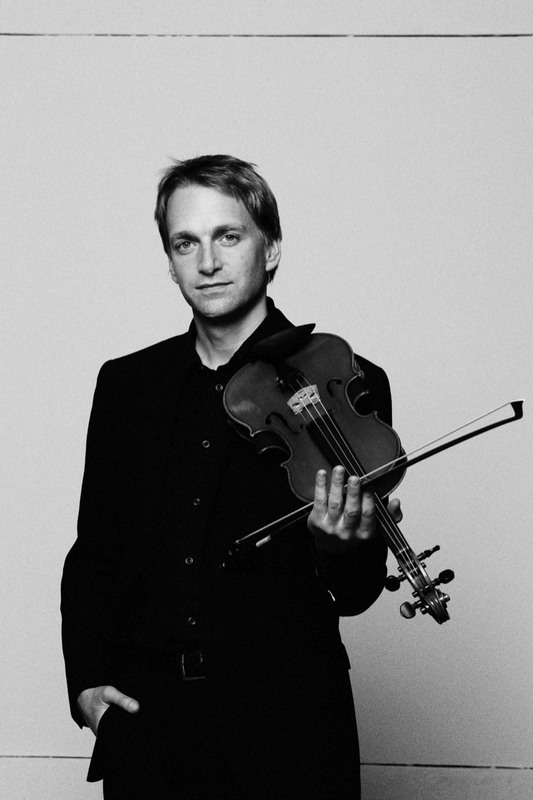 Wolfram Brandl is also the first violinist of the Scharoun Ensemble made up of members of the Berlin Philharmonic. With this ensemble he has appeared in Carnegie Hall, Wigmore Hall, Konzerthaus Vienna, Concertgebouw Amsterdam and numerous other festivals. Through the intensive co-operation between the Scharoun Ensemble and living composers, he has worked closely with Pierre Boulez, Krystof Penderecki, Heinz Holliger, Thomas Ades, Matthias Pintscher, Brett Dean and Jörg Widmann. Numerous recordings document Brandl's work. Most recently a CD has come out on Deutsche Gramophon with works by Richard Strauss conducted by Barenboim also featuring Anna Netrebko. Brandl plays the violin solo in 'Ein Heldenleben' on this recording. Since 2014 Krzysztof Specjal is the Principal of the Second Violins at the Staatskapelle Berlin. 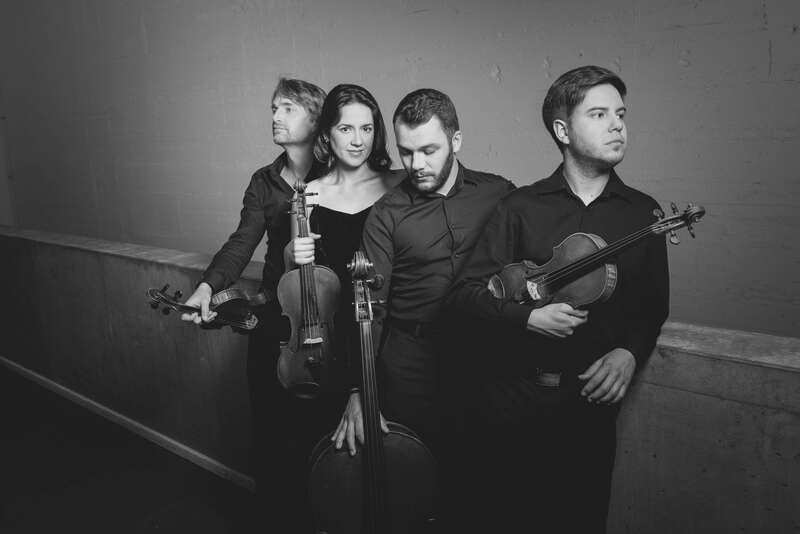 He also belongs to the String Quartet of the Staatskapelle Berlin, founded in 2016. As a mentor he teaches at the in-house Orchesterakademie of the Staatskapelle Berlin. Foundation furthered Krzysztof Specjal’s education and made him the sought-after violinist he is today. As a soloist Krzysztof Specjal played with several Polish symphony orchestras, for example with the Sinfonia Varsovia, as well as internationals, like the Sinfonietta de Paris and the Vietnam National Symphony Orchestra in Hanoi. Furthermore he performed as a soloist and chamber musician at festivals including the Trondheim Chamber Music Festival, the Zeist Chamber Music Festival, the Braunschweig Classix Festival as well as the Schleswig-Holstein Music Festival. On a regular basis he participates in the West-Eastern Divan Orchestra. Krzysztof Specjal won numerous prizes at international competitions such as the H. Wieniawski Competition in Lublin, the International A. Jampolski Competition in Russia, the ESTA Competition in Denmark and the International Broadcasting Competition Concertino Praga. 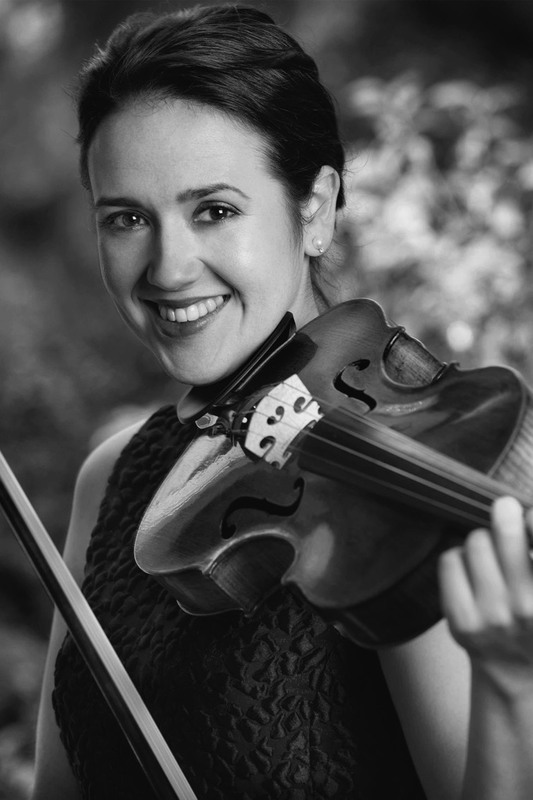 Yulia Deyneka is a versatile chamber musician, with tenures as professor at the Barenboim-Said Academy and principal viola of the Berlin Staatskapelle. She is also frequently to be heard as a soloist with various orchestras. For over 10 years, she has been involved with the West-Eastern Divan Orchestra, whose viola section is under her tutelage. As of Autumn 2016, Yulia Deyneka will be a fixed member of the Boulez Ensemble, resident in the newly built Pierre Boulez Hall in Berlin. Yulia began her studies at the Moscow Tchaikovsky Conservatory with Alexander Bobrovsky, graduated from Rostock University of Music and Drama, where she studied under Felix Schwartz, and gained a soloist diploma from Berlin University of the Arts under Wilfried Strehle. Since childhood, chamber music has played an intrinsic part in Yulia Deyneka's artistic development, and continues to be a significant feature of her professional life today. Chamber music partners have included Boris Brovtsyn, Guy Braunstein, Janine Jansen, Vadim Repin, Denis Matsuev, Valentina Lisitsa and Jörg Widmann. She is also in demand as a guest at many international chamber music festivals. In the previous season she performed together with musicians from the Berlin Philharmonic an entire Brahms chamber music cycle. Yulia enjoys a longstanding musical connection with Daniel Barenboim. Together, they have performed the major sonatas of the viola repertoire, as well as the great chamber music works with piano. Yulia Deyneka considers it her artistic responsibility to pass on her considerable experience and musical knowledge to young musicians. She is professor at the Barenboim-Said Academy in Berlin and is responsible for the members of the Berlin Staatskapelle's orchestra academy. In the 16/17 season, Yulia Deyneka will make a double debut as both soloist and chamber musician at the Carnegie Hall in New York and at the Philharmonie de Paris, with the Boulez Ensemble (Boulez - Derive II) and the Berlin Staatskapelle (Mozart - Sinfonia Concertante) under the direction of Daniel Barenboim. She will perform numerous concerts during the opening month of the Pierre Boulez Hall in March 2017 with artists including Lisa Batiashvili, Michael Barenboim, Francois Leleux, Francois-Xavier Roth and Daniel Barenboim. Claudius Popp was born in Weimar, Germany in 1982. 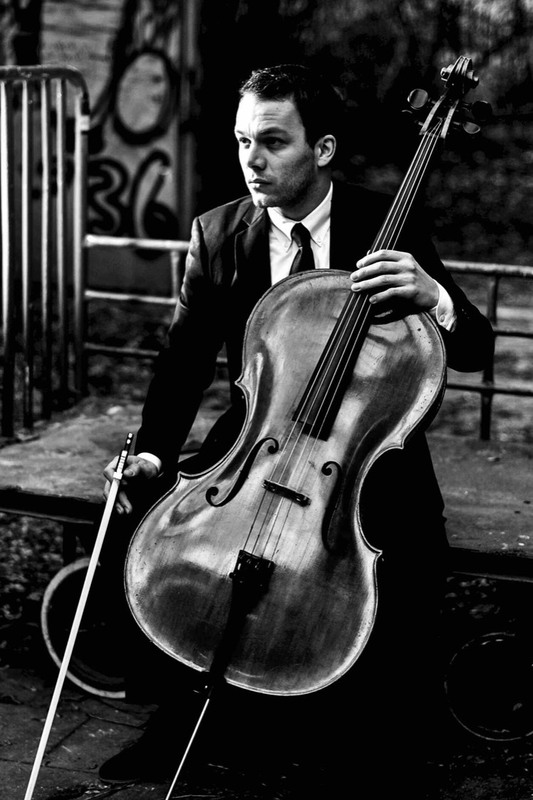 He began playing the cello at the age of four, receiving instruction from his father, Professor Gotthard Popp, a cellist himself. At age six, his talent became known as he won First Prizes in the prestigious 'Jugend Musiziert' and at the International Cello Competition in Liezen, Austria. Considered a prodigy, he was accepted by Professor Karine Georgian and Heinrich Schiff as a student and continued his studies dually in Detmold, Germany and at the Mozarteum Salzburg, Austria. His precocious musicianship continued to thrive as he pursued advanced studies at the Hochschule for Musik Hanns Eisler in Berlin with David Geringas, graduating with a diploma in 2004 and a masters with distinction and honors in 2007. Whilst a student, Claudius continued his winning streak in world competitions, taking top prizes at Tchaikovsky Competition Moscow (2002), Osaka International Music Competition, ARD International Music Competition (Barenreiter Prize), the International Concertino Prague Competition, and the Competition of the Deutsche Musikrat (2003). 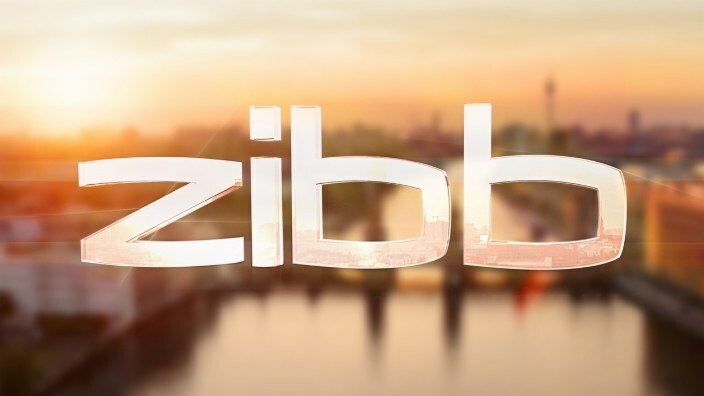 He is a scholarship holder of the Oscar and Vera Ritter Foundation, Studienstiftung des Deutschen Volkes and the Werner Richard-Dr. Carl Doerken Foundation. Claudius made his concerto debut as a soloist at age nine. Since then, he has performed with leading orchestras such as NDR Sinfonie, Berlin Staatskapelle, Mozarteum Orchestra Salzburg and the Chamber Orchestra of the Berlin Philharmonic, playing in renowned halls such as Berlin Philharmonie, Cologne Philharmonie, Konzerthaus Berlin, Suntory Hall in Tokyo, Rudolfinum in Prague, Tchaikovsky Hall and Great Hall of the Tchaikovsky Conservatory in Moscow, the Tonhalle in Dusseldorf and the Musikforum in Weimar under the baton of greats such as Daniel Barenboim and Eiji Oue. Claudius is an in demand avid chamber musician as well. He plays throughout Europe's most prestigious festivals including the Rheingau, Mecklenburg Vorpommern, the Schleswig-Holstein, Heidelberg Fruhling, and the Music Festival Cervo. He has held recitals with Elena Bashikrova, Alfredo Perl, Daniel Barenboim, Joerg Widmann and Paul Rivinius. The latest of many collaborations with Daniel Barenboim was a highly successful concert tour with Strauss' Don Quixote in 2014. Next to his solo and orchestra work, Claudius Popp holds a teaching position at the School of Music 'Hanns Eisler' and the Barenboim-Said Academy in Berlin.